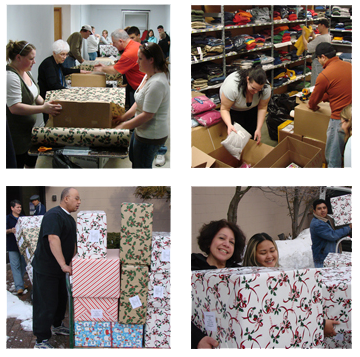 For over twenty years, Angels Among Us has been committed to helping Rhode Island children and families in need of clothing and basic necessities. New condition, non-used items, including hats, coats, warm clothing, underwear, school supplies, toiletries, books and toys are provided to children. Adults and families receive clothing, food, and other vital necesseities as well. Angels Among Us is a non-profit, zero expense charity. Every dollar and all physical goods pass directly to those in need.